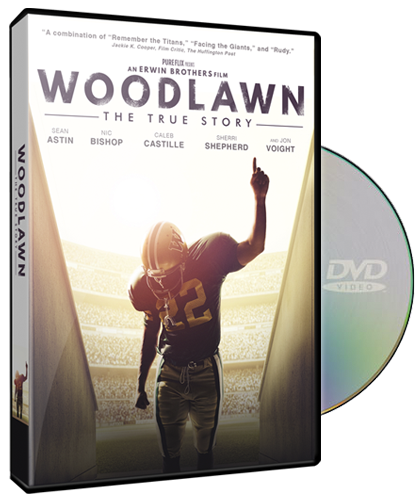 Show WOODLAWN to your group! Get your church to make big plans to use Woodlawn as an outreach to your community around college bowls and super Sunday. Visit WoodlawnResources.com for more information about studies, books and devotionals available for your event. Since DVD’s and digital purchases are only license for home entertainment and personal viewing (devices), a “site license” is required to show movies at your church, school, or other non-profit organization. Please note: site licenses are not available for in-theater showings and umbrella license programs (such as CVLI) do not apply to films like this.